As Cairns is over 1700 kilometers from the state's capital city, if you're visiting you are probably going to want to fly in. If you're coming from an international location, you can get a direct flight from Auckland, NZ and some Asia-Pacific locations. Mostly though you'll want to fly into Brisbane first and then get a connecting flight to Cairns - you'll have a few to choose from from Brisbane each day from each of the major airlines and the flight time is just a couple of hours. The Cairns Airport is one of Australia's busiest regional airports, offering both domestic and international flights to a range of destinations. 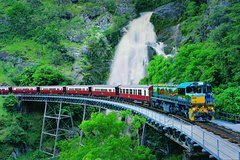 Just 7 kilometres from the Cairns CBD, the airport is the gateway to the highly popular Queensland tourist areas of the Great Barrier Reef and rainforests. Airport to City Shuttles operate 24 hours per day and all flights are met by airport representatives. You will be taken to your accommodation with a minimum of delay. OUR SERVICES INCLUDE:Meeting passengers at the designated baggage carousel for your flight with names displayed on our IPad. Assisted with baggage, escorted to your vehicle and driven in comfort and style to your destination, NO FUSS, NO HASSLE! Cairns Airport Transfer to Cairns Central Business District and nominated Hotel or accommodation. The transfer will be in a Luxury Limousine with a Chauffeur. 1-3 Guests only. Cairns Airport Transfer to Cairns Central Business District and nominated Hotel or accommodation. The transfer will be in a Luxury Limousine with a Chauffeur Suitable 1-2 Guests. 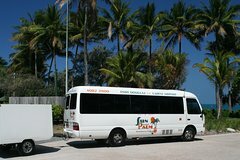 Cairns Airport Transfer to Palm Cove and nominated Hotel or accommodation. 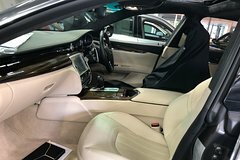 The transfer will be in a Luxury Maserati Quattroporte Limousine with a Chauffeur. Suitable 1-3 Guests only. Cairns Airport Transfer to Cairns City and nominated Hotel or accommodation. The transfer will be in a Luxury Caprice Limousine with a Chauffeur. Cairns Airport Transfer to Port Douglas and nominated Hotel or accommodation. The transfer will be in a Luxury Limousine with a Chauffeur. Cairns Airport Transfer to Port Douglas to a nominated Hotel or accommodation. The transfer will be in a Luxury 7 seater Limousine with a trailer if necessary and a Chauffeur. Cairns Airport Transfer to Cairns Central Business District and nominated Hotel or accommodation. The transfer will be in a Luxury Limousine with a Chauffeur. PRIVATE TRANSFERS - We go when YOU & YOUR GROUP are ready to go. 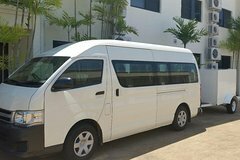 Safe & efficient transfer of small groups of up to 13 people at a time from Cairns Airport to and from Cairns CBD hotels. Private Transfers available to and from your Palm Cove & Port Douglas accommodation too. Chinese speaking Driver/Guides on call too. Private Transfer for 1-2 passengers from Cairns Airport to Port Douglas. One of our lovely, knowledgeable drivers will collect you with one of our luxury vehicles at the agreed time and place for your smooth, air-conditioned private transfer to your requested destination. No headaches, no hassle. Eliminate the hassle at the end of your holiday by pre-booking a shared shuttle service regularly departing Port Douglas, Northern Beaches and Cairns city. 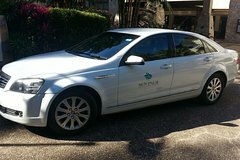 This door to door service will pick you up from your accommodation and take you to Cairns airport to meet your departing flight. Make sure you sit back and relax as you enjoy your departure by letting your professional drive make your transfer arrangements as seamless as possible. Travel in style from Cairns airport to your accommodation in Cairns, Palm Cove, the Northern Beaches or Port Douglas. You'll receive quality service in a modern private limousine or coach. Your professional driver will meet you at the airport and transport you hassle-free to your accommodation in your selected suburb. Private vehicle transfer for up to 13 passengers from the Cairns Airport to your accommodation in Cairns. For assured top quality timely service to make sure you are met at Cairns Airport upon arrival and immediately transferred to your hotel. Eliminate the start of vacation hassle of organizing your airport transfer now by pre booking this private transfer service from Cairns Airport to your hotel. Private vehicle transfer for up to 13 passengers from your accommodation in Cairns to the Cairns Airport. For assured top quality timely service to make sure you arrive at Cairns Airport on time for your outward flight. Eliminate the end of vacation hassle of organizing your airport transfer now by pre booking this private transfer service from your hotel to Cairns Airport. Private vehicle transfer for up to 21 passengers from the Cairns Airport to your accommodation in Cairns. For assured top quality timely service to make sure you are met at Cairns Airport upon arrival and immediately transferred to your hotel. Eliminate the start of vacation hassle of organizing your airport transfer now by pre booking this private transfer service from Cairns Airport to your hotel. 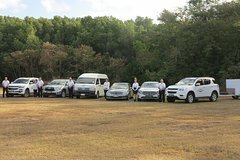 Private vehicle transfer for up to 21 passengers from your accommodation in Cairns to the Cairns Airport. For assured top quality timely service to make sure you arrive at Cairns Airport on time for your outward flight. 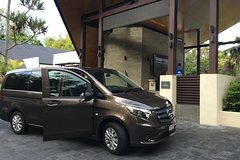 Eliminate the end of vacation hassle of organizing your airport transfer now by pre booking this private transfer service from your hotel to Cairns Airport. Private vehicle transfer for up to 7 passengers from the Cairns Airport to your accommodation in Port Douglas. For assured top quality timely service to make sure you are met at Cairns Airport upon arrival and immediately transferred to your hotel. Eliminate the start of vacation hassle of organizing your airport transfer now by pre booking this private transfer service from Cairns Airport to your hotel. Private vehicle transfer for up to 21 passengers from the Cairns Airport to your accommodation in Port Douglas. For assured top quality timely service to make sure you are met at Cairns Airport upon arrival and immediately transferred to your hotel. Eliminate the start of vacation hassle of organizing your airport transfer now by pre booking this private transfer service from Cairns Airport to your hotel. Private vehicle transfer for up to 7 passengers from your accommodation in Port Douglas to the Cairns Airport. For assured top quality timely service to make sure you arrive at Cairns Airport on time for your outward flight. Eliminate the end of vacation hassle of organizing your airport transfer now by pre booking this private transfer service from your hotel to Cairns Airport. Private vehicle transfer for up to 13 passengers from your accommodation in Port Douglas to the Cairns Airport. For assured top quality timely service to make sure you arrive at Cairns Airport on time for your outward flight. Eliminate the end of vacation hassle of organizing your airport transfer now by pre booking this private transfer service from your hotel to Cairns Airport. Private vehicle transfer for up to 21 passengers from your accommodation in Port Douglas to the Cairns Airport. For assured top quality timely service to make sure you arrive at Cairns Airport on time for your outward flight. 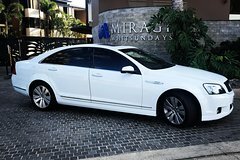 Eliminate the end of vacation hassle of organizing your airport transfer now by pre-booking this private transfer service from your hotel to Cairns Airport. 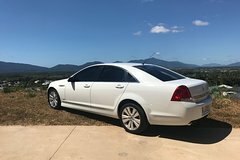 Private vehicle transfer for up to 7 passengers from the Cairns Airport to your accommodation in Cairns Northern Beaches including Trinity Beach, Kewarra Beach, Clifton Beach and Palm Cove. 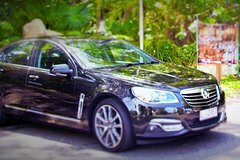 For assured top quality timely service to make sure you are met at Cairns Airport upon arrival and immediately transferred to your hotel. 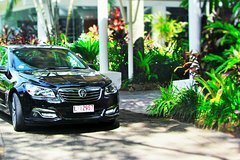 Eliminate the start of vacation hassle of organizing your airport transfer now by pre booking this private transfer service from Cairns Airport to your hotel. 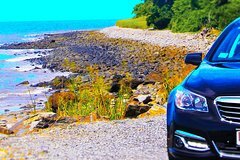 Private vehicle transfer for up to 13 passengers from the Cairns Airport to your accommodation in Cairns Northern Beaches including Trinity Beach, Kewarra Beach, Clifton Beach and Palm Cove. For assured top quality timely service to make sure you are met at Cairns Airport upon arrival and immediately transferred to your hotel. 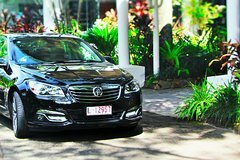 Eliminate the start of vacation hassle of organizing your airport transfer now by pre booking this private transfer service from Cairns Airport to your hotel. 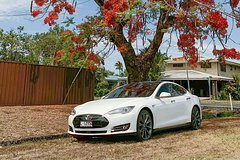 Travel in style with a Tesla limousine for up to 3 passengers from the Cairns Airport to your accommodation in Cairns. 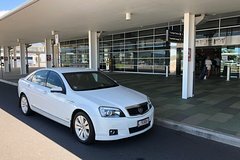 For assured top quality timely service to make sure you are met at Cairns Airport upon arrival and immediately transferred to your hotel. 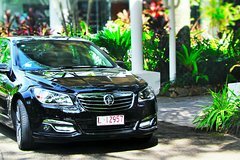 Eliminate the start of vacation hassle of organizing your airport transfer now by pre booking this private transfer service from Cairns Airport to your hotel. 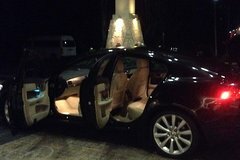 Travel in style with a Tesla limousine for up to 3 passengers from your accommodation in Cairns to the Cairns Airport . For assured top quality timely service to make sure you are met at Cairns Airport upon arrival and immediately transferred to your hotel. Eliminate the start of vacation hassle of organizing your airport transfer now by pre booking this private transfer service from your hotel to Cairns Airport. 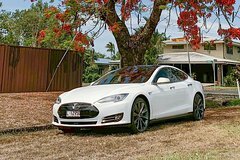 Travel in style with a Tesla limousine for up to 3 passengers from Cairns to Port Douglas or vice versa. 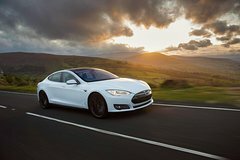 For assured top quality timely service in an unique Tesla Limousine. Make sure you are met at Cairns Airport upon arrival and immediately transferred to your hotel. 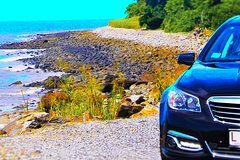 Eliminate the start of vacation hassle of organizing your airport transfer now by pre-booking this private transfer service. Finish your holiday or business trip with a worry-free pickup from your Hotel in Cairns to Cairns Airport (CNS) in a shared shuttle. Your driver will pick you up from your hotel and drop you off at the domestic or international terminal. Private vehicle transfer for up to 7 passengers from your accommodation in Cairns to the Cairns Airport. For assured top quality timely service to make sure you arrive at Cairns Airport on time for your outward flight. Eliminate the end of vacation hassle of organizing your airport transfer now by pre booking this private transfer service from your hotel to Cairns Airport. Private vehicle transfer for up to 7 passengers from the Cairns Airport to your accommodation in Cairns. 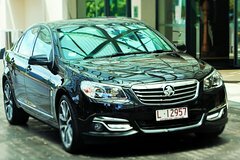 For assured top quality timely service to make sure you are met at Cairns Airport upon arrival and immediately transferred to your hotel. Eliminate the start of vacation hassle of organizing your airport transfer now by pre booking this private transfer service from Cairns Airport to your hotel. Private vehicle transfer for up to 13 passengers from the Cairns Airport to your accommodation in Port Douglas. For assured top quality timely service to make sure you are met at Cairns Airport upon arrival and immediately transferred to your hotel. Eliminate the start of vacation hassle of organizing your airport transfer now by pre booking this private transfer service from Cairns Airport to your hotel. 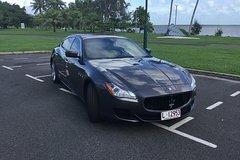 Private vehicle transfer for up to 13 passengers from your accommodation in Cairns Northern Beaches including Trinity Beach, Kewarra Beach, Clifton Beach and Palm Cove to the Cairns Airport. For assured top quality timely service to make sure you arrive at Cairns Airport on time for your outward flight. Eliminate the end of vacation hassle of organizing your airport transfer now by pre booking this private transfer service from your hotel to Cairns Airport. We understand the excitement that comes with holidaying. You've just arrived on holidays & want to get to the Hotel, check-in & start exploring or hit the pool. You can trust Green Ant Limousines to get you there quickly & comfortably. There's no need to stand in line waiting for a taxi, no searching for the hotel address, we know exactly where you're going, there's no fuss - all you need do is sit back relax & enjoy the experience. We understand the excitement that comes with holidaying. You've just arrived on holidays & want to get to the Hotel, check-in & start exploring or hit the pool. You can trust Green Ant Limousines to get you there quickly & comfortably. There's no need to stand in line waiting for a taxi, no waiting for other passengers on a shared service & no crowds. You don't even need to search for the hotel address, we know exactly where you're going, there’s no fuss - all you need do is sit back relax & enjoy the experience. It's the best way to start your holiday. Your personal driver will be waiting to greet you in the airport's arrival hall just near your luggage carousel with your name displayed on an iPad. They will assist with the collection of your luggage before taking to your personal Limousine. We understand the excitement that comes with holidaying. You've just arrived on holidays & want to get to the Hotel, check-in & start exploring or hit the pool. You can trust your private driver to get you there quickly & comfortably. There's no need to stand in line waiting for a taxi, no searching for the hotel address, we know exactly where you're going, there's no fuss - all you need do is sit back relax & enjoy the experience. Let's face it, holiday is great fun but it is always nice to head home. We understand that you need to arrive at the Airport rested and refreshed - not rushed. You can trust Green Ant Limousines to get your to the airport on time, in comfort with no fuss. All you need do is sit back relax & enjoy the experience. It's the best way to end a great holiday. We understand the excitement that comes with holidaying. You've just arrived on holidays & want to get to the Hotel, check-in & start exploring or hit the pool. You can trust Green Ant Limousines to get you there quickly & comfortably and when you are heading home you need to arrive at the Airport rested and refreshed - ready to go. All you need do is sit back relax & enjoy the experience . We understand the excitement that comes with holidaying. You've just arrived on holidays & want to get to the Hotel, check-in & start exploring or hit the pool. You can trust Green Ant Limousines to get you there quickly & comfortably. There's no need to stand in line waiting for a taxi, no waiting for other passengers on a shared service & no crowds. You don't even need to search for the hotel address, we know exactly where you're going, these's no fuss - all you need do is sit back relax & enjoy the experience. It's the best way to start your holiday. PRICE SHOWN IS PER VEHICLE. Choose number of passengers to see prices for larger vehicles. Book your private arrival transfer from Cairns Airport (CNS) to any Hotel or Address in Cairns City today! Our driver will meet&greet you at the airport with a sign with the lead passenger name and take you to your car. We will then transfer you directly to your destination in Cairns. Benefit from our best offers today and book your arrival transfer from Cairns Airport (CNS) to any Cairns Hotel or address. 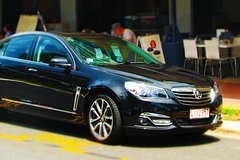 Book your private departure transfer from any hotel or address in Cairns to Cairns Airport (CNS) today! 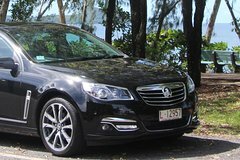 We pick you up at any hotel or address in Cairns City in one of our Cars or Minivans and take you directly to Cairns Airport (CNS). Benefit from our best offers today and book your departure transfer from Cairns to Cairns Airport (CNS). You can get a rental car from the airport, but we recommend you visit our car hire page to compare prices and book your car in advance.